The International Union for Conservation of Nature (IUCN), an international organisation for nature conservation, has now reclassified red sanders (Pterocarpus santalinus) as ‘near threatened’ from the earlier ‘endangered’. The IUCN maintains a list—Red list—of flora and fauna species and categorises them based on their conservation status. At one end of the list is the category ‘extinct’ and on the other is ‘least concern’. According to the IUCN categorisation, species which come under ‘critically endangered’, ‘endangered’ and ‘vulnerable’ categories are considered threatened. After being classified as ‘endangered’ in 1997 and added to the Red List, this is the first time that red sanders has been shifted to a better conserved category. Red sanders wood fetches huge prices in the international market for its use in making luxury products, musical instruments and medicine. A tonne of red sanders costs anything between Rs 50 lakh to Rs 1 crore in the international market. However, as the species is endemic to India and had been considered endangered, the Foreign Trade Policy of India doesn’t allow its export. This ban, coupled with its high demand, made illegal trade of red sanders rampant in states where it is found like Andhra Pradesh, Karnataka and Tamil Nadu. In fact, illegal logging is a reason for its declining population, according to the IUCN. “The species has been subjected to historical population decline due to over extraction of trees for timber. These historical declines are anticipated to be large and have been occurring over many generations. However, the information is not available to estimate the scale of this ancestral loss,” reads Red List’s summary on red sanders. 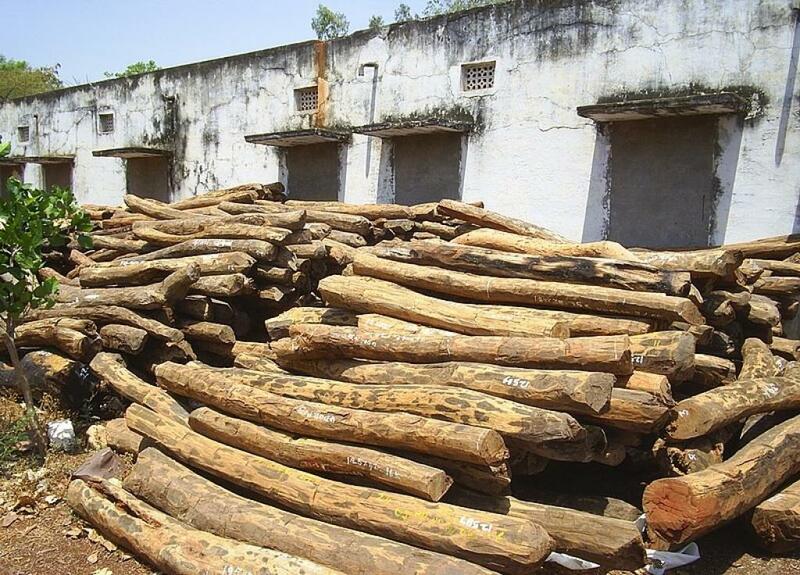 While the Foreign Trade Policy doesn’t allow export of red sanders wood, it lets states export confiscated timber from illegal sources. Experts say that this policy is encouraging the illegal trade as opposed to trade from plantations.